If you think Crocs is ugly, perhaps this new BEAMS x Crocs capsule collection will change your mind. The lineup of footwear includes 10 new styles. 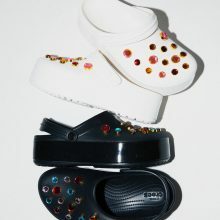 Headlining the range are two Clockband™ Platform Embossed Clogs in “Black” and “White” arriving with platform soles and bejeweled accents. The other styles see the slip-on shoes getting fashion-forward updates in the form of sun visors, fanny packs and festival-ready fringe. The BEAMS x Crocs collection will be available on 19th April at BEAMS’ web store. Remember to sign up with us and learn how to get your shopping shipped to our Japan warehouse as they ship within Japan for free! Riding on the vintage sportswear trend, FILA has been making a comeback. 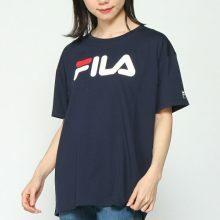 If you want to get on the 90’s trend without breaking your bank, check out Rakuten’s super deal promotion on everything FILA. You can find streetwear pieces as well as functional active wear for both men’s and women’s with discount up to 70%. Best of all, Rakuten is also offering special rebate coupons until 9th April – 1,000 yen off with 5,000 yen purchase, 1,900 yen off with 10,000 yen purchase, 3,200 yen off with 17,000 yen purchase, and 4,400 yen off 25,000 yen purchase. Shipping within Japan is free for order above 4,000 yen, so get access to our Japan warehouse to take advantage of that. Until 19th April only, Amazon Japan is running a bundle promo – you have to purchase items under both category A and B, then 30% discount will be applied to your purchase. 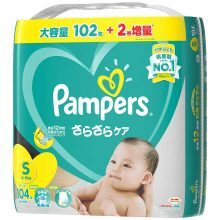 Category A: Daily necessities, Bath supplies, Baby care and more. Category B: Medicine, Beauty products, Food/beverage, Toys, Apparels and more. Check out the full list of promo items here. Use our Japan warehouse address to get access to Amazon’s local shipping rate. 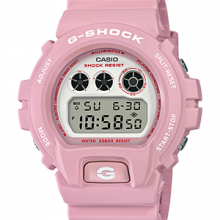 In celebration of cherry blossom season, G-Shock Japan has unveiled a newly designed “Sakura Storm” timepiece series. The line features two classic digital designs and one analog-digital model, each watch includes a pink theme symbolizing the sakura flowers makeup. This G-Shock “Sakura Storm” series is only available in Japan, but you can get them from Rakuten Japan and get Buyandship to bring them back via our Japan warehouse! 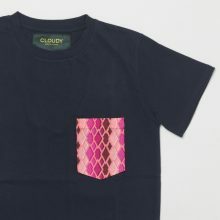 Fans of Japanese boyband, Arashi will know that the News Anchor member, Sakurai Sho’s affiliation to the T-shirt brand “Cloudy“. What’s intersting about this brand is that it incorporates African materials and design, and is made in Kenya and Ghana. This brand seeks to bring awareness to the poverty, war, discrimination, and illness happening in Africa and helps by creating work in various African countries to produce high quality and fashionable products. They also offer free domestic shipping should you purchase more than 10,000円so don’t forget to input our Japan warehouse address! The popular idol has been sporting many of the brand’s t-shirt, allow us to highlight them below : Pocket T-SHIRTS Vneck 153 : 4,860円 Pocket T-SHIRTS Uneck 203 : 4,860円 Bomber Jacket MA-1 : 34,560円 *Just right click on the webpage when using Google Chrome so that it will translate the page to your language setting! 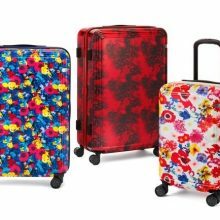 Ace is a Japanese leading luggage brand known for its quality and craftsmanship – recently they have collaborated with the renowned Japanese photographer/director Mika Ninagawa on a cool collection of luggage and bags! Mika Ninagawa has lent her signature brightly-colored photographs of flowers, goldfish, and landscapes onto Ace’s trolley bags, pouches and luggage tags. The prints are so distinctive that the bags can be spotted right away at the baggage carousel! Shop the Ace x M / mika ninagawa collaboration here. Ace offers free domestic delivery in Japan for orders above 3,240 yen, Buyandship can help you to bring the luggage back from our Japan warehouse. If you are a Disneyphile, then these Disney-themed Kitchen Goods from Japan Disney Store will be right up your alley! 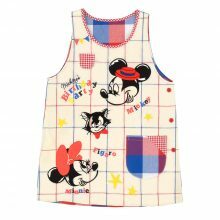 From apron in various Disney characters to Sandwich Maker with toasted imprint of your favorite Disney character, these kitchen goods will make cooking so much more fun! Plus, they will make your kitchen super instagrammable! Local Japan shipping is free for orders over 6,000 yen. Just get them shipped to our warehouse in Japan, and we will make sure they arrive at your doorstep. Sign up with us now and start shopping! 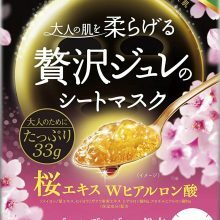 Popular among those with mature skin, Premium Puresa Golden Jelly Face Mask has dropped a special Sakura edition for the season of spring! Combining 33 grams of golden jelly collagen serum with Sakura flower essence, the mask drenches your skin with much-needed moisture. Amazon Japan is selling a pack of three sheet masks at only 756 yen. Take advantage of the free domestic shipping for orders above 2,000 yen by getting your items sent to our Japan warehouse. Spring is all about the Sakura in Japan, the best selling facial sheet mask brand in Japan – Lululun has launched a spring-limited premium face mask in Sakura aroma for this lovely season. Incorporating natural Sakura flower extract and rapeseed oil, the thick mask moisturizes your skin and help to keep the great skin balance. 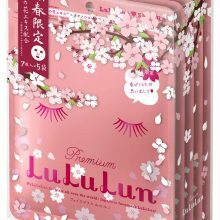 A box of Lululun Sakura Facial Sheet Mask comes with 5 packages of 7 sheets masks costs only 1,620 yen on Amazon Japan. Round your order to above 2,000 yen to score free domestic shipping in Japan, and get your items shipped back via Buyandship! Yodabashi is one of the more famous stores that was previously best known to stock electric and electronic items, but as of recent years, they also stock a bigger variety of items such as luxury goods, stationary, jewelry and more. They’ve included a selection for White Day, so this is our selection from what’s on offer! 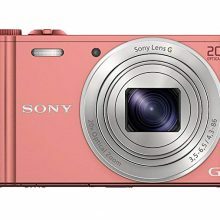 Hello KittyFacial Beauty Bar : 20,520円 Swarovski Fizzy Star Pendant: 11,000円 Seiko Lukia Watch : 43,800円 Sony Cybershot DSC-WX350 Camera in Pink: 24,040円 What makes buying from Yodabashi sweeter is that they offer free delivery of all goods to Japan FREE! Don’t miss out this good deals! Just remember that electrical items from Japan are not compatible to our electric current so you will probably need a transformer to use it here!